Check new WCR Trade Apprentice Notification i..e. RRC Jabalpur Apprentice Recruitment 2017 notification which has been released on 9th Nov 2017 . For the Western Central railway zone regions there are 1160 apprentice vacancies.The WCR regions are Bhopal, Kota , Jabalpur , Bhopal Sawari Dibba Factory.The online application has started on 9th Nov 2017 and will end on 8th Dec 2017 (Jabalpur Zone ), 19th Dec 2017(Bhopal Sawari Dibba) 20th Dec 2017(Bhopal Zone), 31st Dec 2017 (Kota Zone). Latest Western Central Railway Trade Apprentice Recruitment 2017 : Here is the new and effective recruitment notification of 1160 Apprentice jobs . This recruitment is in the Western Central Railway zone . A total of 1160 vacancies in Apprentice posts are available in the regions of WCR called Bhopal , kota , Jabalpur. We know how the railway applicants will wait for the railway job notifications. How they will made their search to find a single railway job notification ? So that if you stick to our site recruitmentindia.in always ,you can receive the updates of recent ,latest and upcoming railway job notifications without excluding a single railway job notification . So in that way we will make you know about all the railway vacancies of all regions . So let me intimate the main purpose of this post .That is to invite all the suitable contenders for the RRC Jabalpur Apprentice posts . RRC Jabalpur 1160 Apprentice Posts Online Application : The individuals who are preparing for the railway jobs might know the simple thing that every railway zone has an individual railway recruitment board.That recruitment board technically called as Railway Recruitment Cell . So for the railway regions of Bhopal, Kota , Jabalpur , Bhopal Sawari Dibba Factory combine there is one railway zone.That zone name is called Western Central railway . The recruitment cell for this zone is called Railway Recruitment Cell Jabalpur. Jabalpur is the head quarters of WCR zone . By this RRC ,these Apprentice vacancies will be filled . These vacancies will be occupied in region wise .The total 1160 vacancies are distributed among the major railway regions. For Jabalpur there are 407 vacancies ,for Bhopal there are 345 vacancies ,for Bhopal Sawari Dibba Factory there are 113 vacancies , for Kota there are 295 vacancies. The complete qualifications for RRC Jabalpur Apprentice Recruitment notification as per the job wise. Application filling individuals should have finished 10th class examination or its equivalent (under 10+2 examination system) with atleast 50% marks in aggregate from recognized Board and also possess National Trade Certificate in the notified trade issued by NCVT/ SCVT. Candidates, age must be as per the RRC Jabalpur Apprentice Recruitment 2017 that is maximum age is 24 years. Age Relaxation will be given as per the norms. All General/Unreserved /OBC applicants have to pay Rs.170/- in the name of the application fees. Selected candidates will get the pay scale as per the norms of the RRC Jabalpur Apprentice Recruitment is as per extant rules & directives issued by Railway Board from time to time. 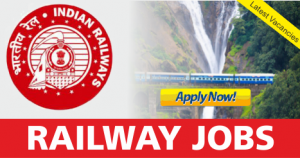 Refer the official details of this 1160 vacancies notification on the authoritative apprentice recruitment site of RRC Jabalpur or Western Central Railway.that site is mponline.gov.in. Read the RRC Jabalpur Apprentice Notification @mponline.gov.in. From there on wards ,get the confirmed information that is united with this recruitment notification . Never miss any central government job opportunity if you are appropriate applicant of these four regions vacancies.All the applicants are suggesting to finish the application steps before the end line of the application submission.Because on last days of application the server may get struck due to high traffic of applicants at one time. The ending dates of the online application of this RRC Jabalpur Apprentice Recruitment are scheduled region-wise. The closing date of online applications for Jabalpur Zone is 8th Dec 2017,for Bhopal Sawari Dibba is 19th Dec 2017 ,for Bhopal Zone is 20th Dec 2017, for Kota Zone is 31st Dec 2017. Most important point to keep in mind by the applicant is remember the exact date of the region for which you are filling the application form . Inter or +2 finished people along with ITI certificate attained candidates only eligible for these 1160 posts . Individual application links for all regions to fill online registration form is given below . Follow them and apply online.